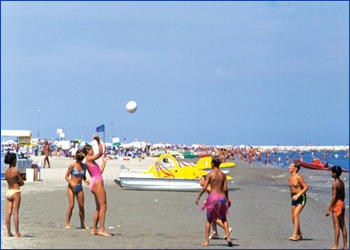 Are you looking for a hotel in Sottomarina with free beach service? Edera Hotel in Sottomarina has its own private beach and swimming pool at the “Nuova Marina” beach club. Free beach service includes the use of cabins, umbrellas, sunbeds and deck chairs and is reserved for all our customers in half or full board. 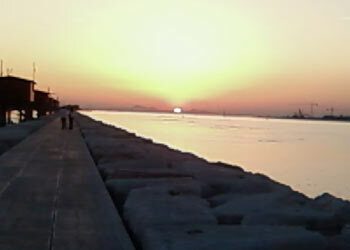 Nestled between the Adriatic, the lagoon and the Veneto countryside, Sottomarina beach is characterized and appreciated throughout the coast for the quality of its fine sand. 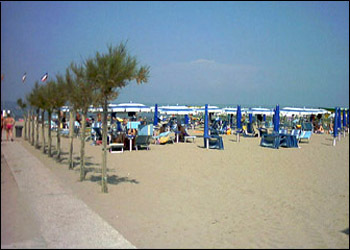 Sottomarina Beach is appreciated both for the quality of its sand, that favors a splendid tan and for the air rich in iodine. About ten kilometers long and with a depth that reaches up to 300 meters, Sottomarina beach has a wide and welcoming shoreline, which is ideal for long walks, to entertain children and to relax the adults.